A transformer requires oil for insulation and cooling. Oil in each instance degrades over time resulting in the potential for failure or costly repair bills. Regular maintenance and upgrading of the oil will add years to the life of your transformer. 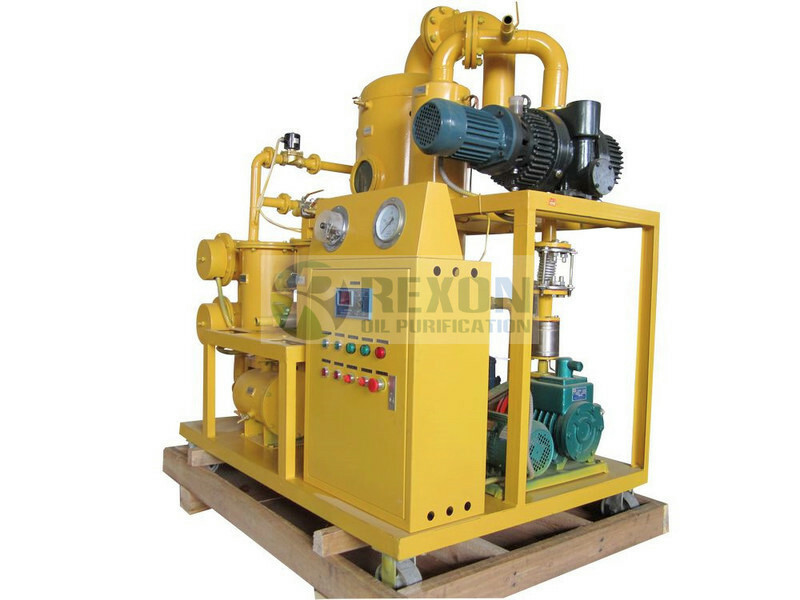 Transformer oil is a mineral based oil. It is commonly used in transformers because of its chemical properties and dielectric strength. Minimal breakdown of the oil occurs under normal operating conditions. Contamination commonly found in oil can be water and particulate. The presence of either contaminant will cause reduced insulation quality of the oil. Oxidization is the acid that forms in the oil when it reacts to oxygen. This acid will form sludge which will settle on the windings of the transformer reducing the heat dissipation from the transformer. The heat transfer from the windings to the oil is limited thus causing the windings to run hotter. Sludge formation on the windings has a snowball effect on the transformer with more sludge creating more heat, creating more sludge etc. The high acid content together with the excessive temperatures will cause the deterioration of the transformer insulation to be accelerated and if left untreated the transformer will fail. The first part of a preventative maintenance program requires establishing when remedial action is necessary. With transformer oil this is done through testing of the oil. Development of an ongoing maintenance program will help prevent costly failures. Initial testing will establish a base line and annual testing will plot any changes happening internally in the transformer. The following 5 part tests are a minimal requirement of a yearly maintenance program. Dielectric breakdown: Dielectric strength is a measure of the voltage which the oil will conduct. Many contaminants conduct electricity better than oil therefore lowering the dielectric breakdown voltage. Neutralization/Acid Number: Oxidation occurs in the oil causing the buildup of acid which will lead to the formation of sludge. The test indicates the level of acid present in the oil. Interfacial tension: This test points to the presence of polar compounds, which indicate oxidation contaminates or deterioration from the transformer materials i.e. paint, varnish, paper. Colour: Indicates the quality, aging, and the presence of contaminants. Water: Is measured in parts per million. The presence of water will decrease the dielectric breakdown voltage. Another useful tool in a maintenance program is a Dissolved Gas Analysis (DGA). By analyzing the gasses present in the oil it is possible to determine if there is a fault such as arcing, corona or overheated connections. From the testing results, it can be determined whether remedial action needs to be taken. Predetermined limits must be set based on voltage class and KVA rating of the equipment. Any analysis showing test results lower than the parameters set indicate further investigation. A downward trend in any of the testing values warrants further testing and an evaluation of these results. Equipment should not be condemned by one test but by a series of tests. If remedial action is required to the transformer oil, a recent PCB analysis is required in addition to the preceding testing. If the PCB level of the oil is less than 2 ppm, in most cases on-site reclamation is recommended based on the customer’s preference. If the oil is over 2 ppm but less than 50 ppm, it can be shipped to a recycling facility and the transformer can be retrofilled with either new oil or recycled oil. In all cases, any results over the 50 ppm limit require special handling.